The next Eternal Championship Qualifier for the 2019 season will be held February 8 – 10! ECQ: Price of Freedom will bring together Eternal players from around the world as they compete to qualify for the $100,000 World Championship! $5,000 will be on the line in ECQ: Price of Freedom, and everyone who makes the cut to the Top 64 will earn ECQ Points to help them qualify for the last-chance to get to Worlds: The Showdown! Participating in ECQ: Price of Freedom requires a registered and validated account and email address. This can be done through the Options menu in-game; we strongly encourage players to register and validate their email addresses in advance of attempting to enter the tournament. 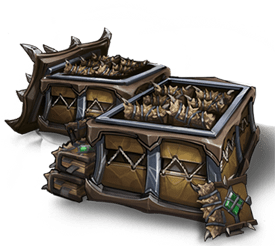 The Qualifiers begins on Friday, February 8 at 10 am MST (17:00 UTC) and will close sharply on Saturday, February 9 at 4 pm MST (23:00 UTC). ECQ: Price of Freedom costs 1,600 Gems or 30,000 Gold to enter. The Finals begins promptly at 11 am MST (18:00 UTC) on Sunday, February 10. Join us for broadcast coverage of the Finals on Sunday, February 10 at 11 am MST (18:00 UTC), live on Twitch! 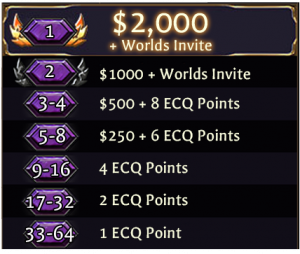 Grab your favorite deck and get ready to take a shot at qualifying for the Eternal World Championship in the first ever ECQ: Price of Freedom!